Get active, get physical! Play for fun, play competitive! Whether it’s team or individual sports, athletes require sportswear that’s practical and comfortable. 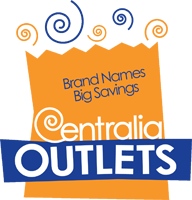 At the Centralia Outlets you’ll find all types of athletic wear for men, women, and children, including base layers, mid layers, polos, t-shirts, tanks, pants, shorts, thermals, hoodies, jackets, and shoes. Active wear for active people at New Balance Factory Store, Nike Clearance Store and Under Armour Clearance House!